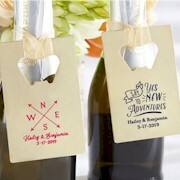 Even if you travel far and wide, chances are you'll never find a wedding favor as as great as this one! 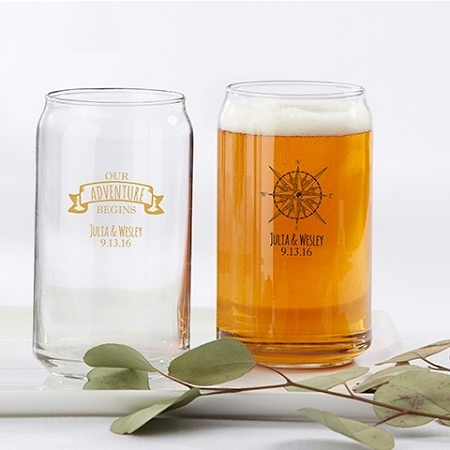 Our travel-themed personalized can glasses hold 16 oz of your favorite beverage and can be placed on guest tables or the bar to add a one-of-a-kind ambiance to your rustic wedding or bridal shower. 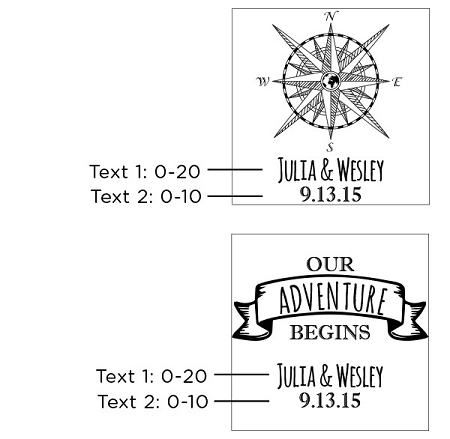 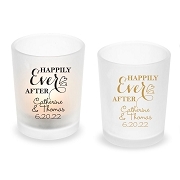 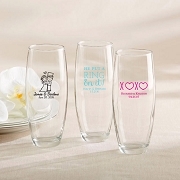 Customize with your names, monogram or event date on your choice of Scroll and Compass design.